I can't believe it's almost Valentine's Day already?! It's a crazy busy time of year, but we are so excited about the upcoming holiday of LOVE! This is Mac's first year in school, so we've been busy making adorable Valentine's for his class, his grandparents and his friends. Plus, we're participating in a couple fun blogger Valentine exchanges (blog posts coming soon), so we've been in a heart-shaped mood for weeks! 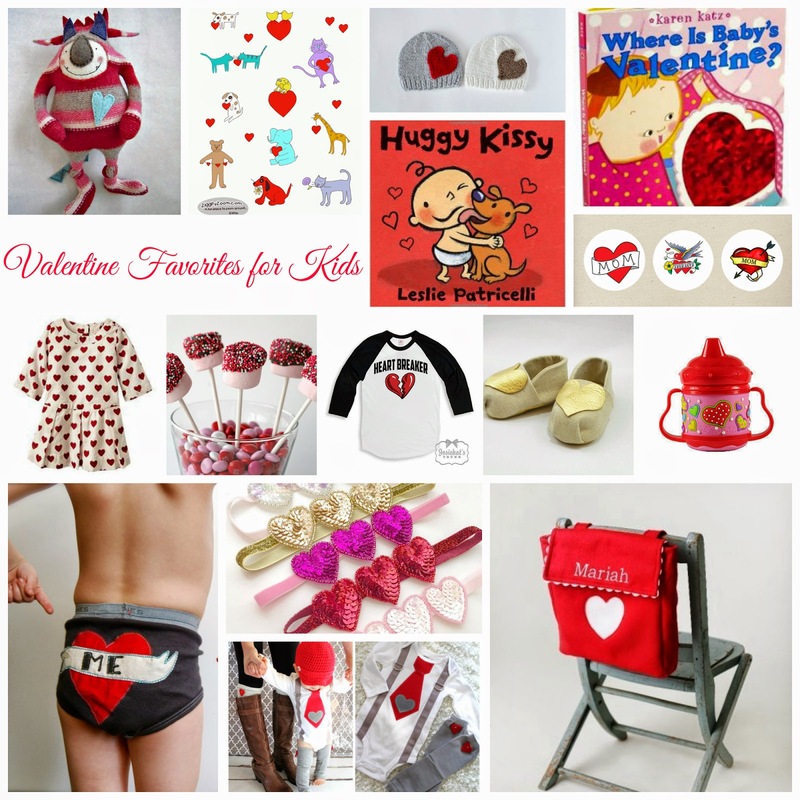 Here are few of our favorite Valentine's items for kids. What are your favorite kids' Valentine's items? *This post does NOT contain any affiliate links. OMG, that little boy underwear is hysterical! That monster is TOO cute! I love those undies for Elliot!!! They're so cute. Those undies! Pretty sure I need to get a pair on Marcus! That heart dress is adorable!!! Love it! OMG those undies!! LOVE!! Now if I could just get my child out of diapers so he can rock those cute undies! We love the Leslie Patricelli books over here and I didn't realize there was one Valentine's themed. May need to add that to my Amazon cart! I love those heart headbands!! And Mim's heart dress!! Those undies are awesome! Now that cam has chosen to use the potty I could totally get them for him! Yippee!! I got Emmy the Huggy Kissy book for Valentine's Day. She's going to love it. I need to find the flip book. She's. Big fan of those. There's a Shark in the Toilet!